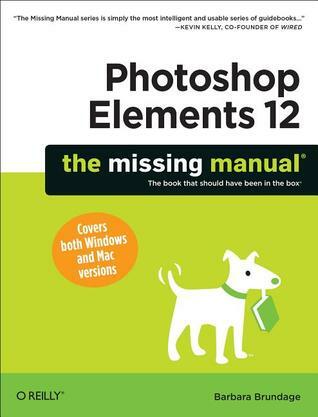 Whether you’re a photographer, scrapbooker, or aspiring graphic artist, Photoshop Elements 12 is an ideal image-editing tool—once you know how to use it. This bestselling book removes the guesswork. With candid, jargon-free advice and step-by-step guidance, you’ll get the most out of Elements for everything from sharing and touching-up photos to fun print and online projec Whether you’re a photographer, scrapbooker, or aspiring graphic artist, Photoshop Elements 12 is an ideal image-editing tool—once you know how to use it. This bestselling book removes the guesswork. With candid, jargon-free advice and step-by-step guidance, you’ll get the most out of Elements for everything from sharing and touching-up photos to fun print and online projects. The important stuff you need to know: Get to work right away. Import, organize, edit, crop, and color-correct your photos with ease. Retouch any image. Repair and restore old and damaged photos. Add pizzazz. Dress up your photos with dozens of filters, layer styles, and special effects. Share photos. Create online albums, email-ready slideshows, and web-ready files. Use your words. Make greeting cards, calendars, and flyers by adding text to images. Unleash your creativity. Design photo books, scrapbooks, collages, and other projects. Find your artistic flair. Create digital artwork from scratch, using tools to draw, paint, and blend.